When my oldest daughter Kia graduated from college in June of 1999, I decided to make a quilt to commemorate this occasion, as well as celebrate her journey out into the world to begin her new life as an adult. 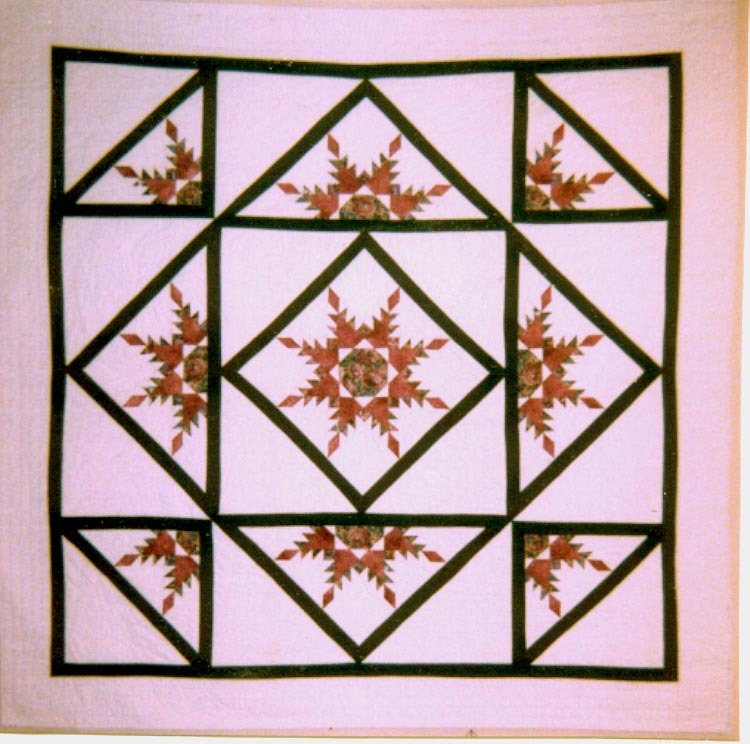 For centuries, tradition has dictated that such a gift be a wedding quilt which celebrated a young woman’s penultimate achievement:"marrying well". But now, times are blessedly different. Kia is my shining star in her own right, and I wanted her "coming of age" quilt to reflect that feeling. This is the result.